Wokingham Library celebrated the Queen’s 90th Birthday with a series of events for customers. A poetry evening with a royal theme was held on June 2 with members of the Wokingham Library Poetry Group giving readings from their work. Around 25 people came along to a Royal Reminiscence afternoon on June 9 and and enjoyed a slide show about the life of the Queen with tea and cake afterwards. They also got the chance to look at objects from our Royalty Forget -me-not box, and chatted about their own thoughts on the Queen and the Royal Family. 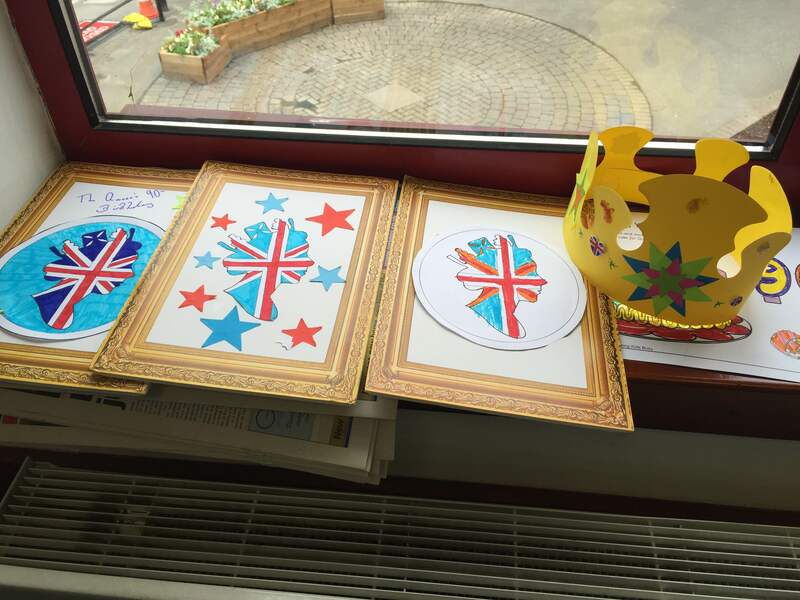 Children were not forgotten in the celebrations; at a special get Arty session, young people made crowns, paper chains and decorated a card. A royal themed story-time for under fives was also held. 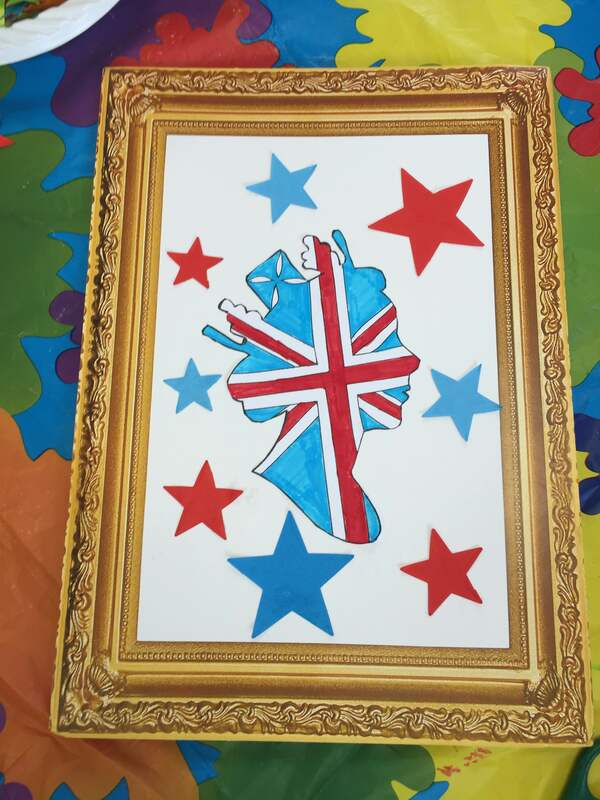 Children of all ages also helped to contribute to decorate a wall in the library by colouring in royal themed objects. All libraries in the Borough also had a royal activity table with colouring sheets and quizzes available. There has also been a display of photos and information about the Queen’s life in the library cafe. Customers could also take part in a quiz about Her Majesty with a special prize on offer.